With its all-new design, the 2018 Nissan Leaf electric car is sure to win new friends and influence new buyers. Range has been increased by 40 percent, to 150 miles, power is up and the price of entry is down. 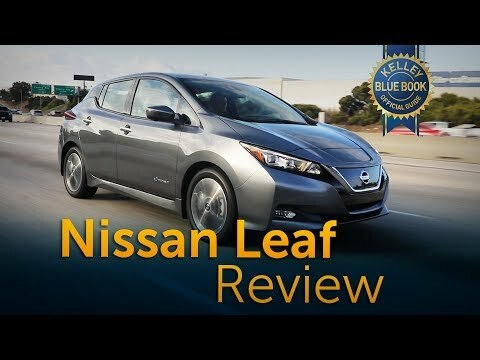 Pros and cons for the 2018 Nissan leaf sv trim. It wasn't clear in the beginning that the trim level of the leaf we got does not include a level 2 charging cable. Charging times on the level 1 cable can take up to 35 hours from 0-100%. This was something the dealer did not make it clear. However not needing to pay for gas is pretty awesome. The car also comes with an app to track all its statistics, making it really cool to check how our driving impacts the vehicles performance. We ended up installing a fast Charger at home, and now charging times are significantly shorter. Comfort level is good, front driver and passenger seats have a lot of good headroom. The backseats are raised higher giving people in the back nice view of the road ahead. Overall we are pretty happy with the car. It looks cool and overall helps us save gas money in the long run. This car is all electric and produces no environmentally harmful emissions. I have always been interested in environmentally friendly cars- and specifically electric vehicles. My Nissan Leaf is perfect for me because it has quite a good range and can get me to and from work at least 3 times a week before I have to recharge. I also love the size of the vehicle, and that it is deceptively roomy for it's looks. Electric vehicles are the way to go. These all electric vehicles are the very best of any vehicle ever in history. No gas. Clean. Very little maintenance. Once these cars solve the range and recharge issue they will completely replace all other cars all over the world. Using renewable energy to run cars is the best way to ensure we can all breath clean air.